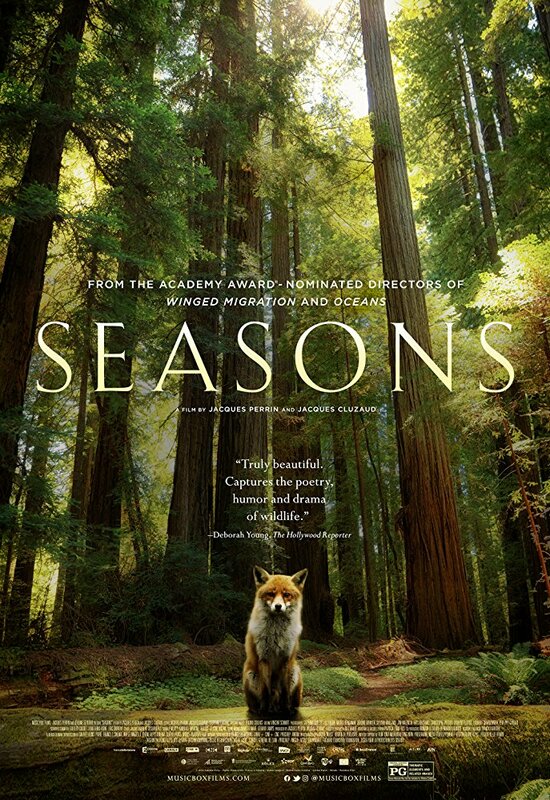 Seasons is an enlightening nature documentary that illustrates the dramatic and subtle effects of Earth’s changing weather cycle on the living patterns of animals and humans, stretching from 20,000 years ago to the present (from Netflix.com). Come enjoy breathtaking cinematography, adorable animals, and profound insight into how the seasons of our planet affect the seasons of our lives. This movie event will begin at 2pm on Saturday, May 5th, at your local library! This entry was posted on April 28, 2018 at 3:46 pm	and is filed under Announcements. You can follow any responses to this entry through the RSS 2.0 feed. Both comments and pings are currently closed.